Functional and optically perfect - these are two important requirements placed on airbag stitching. During the production process itself, these stitches are inspected using a scanCONTROL 2910-25 laser profile scanner. The distance between the stitching and the separating point between single components, as well as the height difference between both components are detected. Airbag covers must correctly fit into the otherwise perfectly designed passenger compartment of a vehicle. In addition, this safety component has high requirements in terms of its functionality and aesthetics. As interior parts, the cockpit, interior trim, steering wheel and airbag covers must be perfectly adapted to match the overall appearance of the vehicle. Airbag covers have two functions. First, they should be functional and not impede the airbag while opening during an accident. Second, they form part of the interior decor of the car. 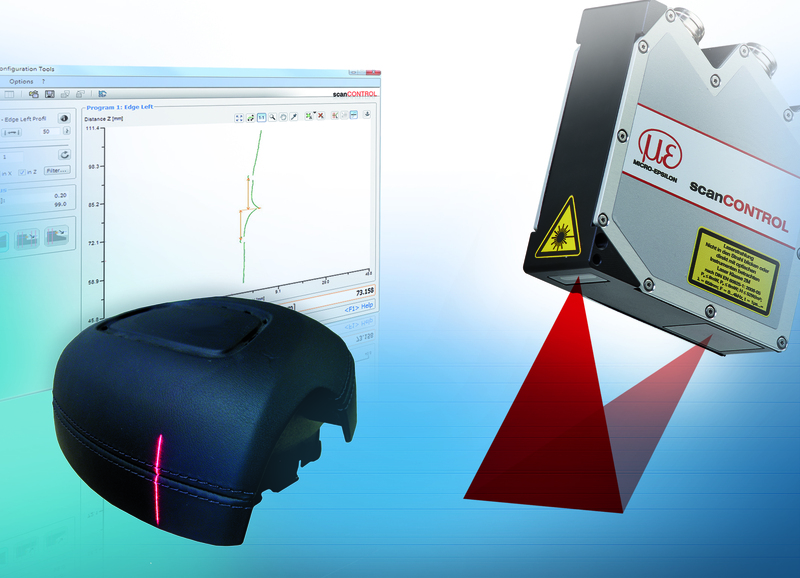 While assembly gaps cannot be measured prior to installation, like many other elements of a car, the airbag stitching can be inspected during production by using a scanCONTROL 2910-25 laser profile scanner. The laser profile scanner detects the contour of the stitching while being guided by a robot arm and evaluates several features synchronously. 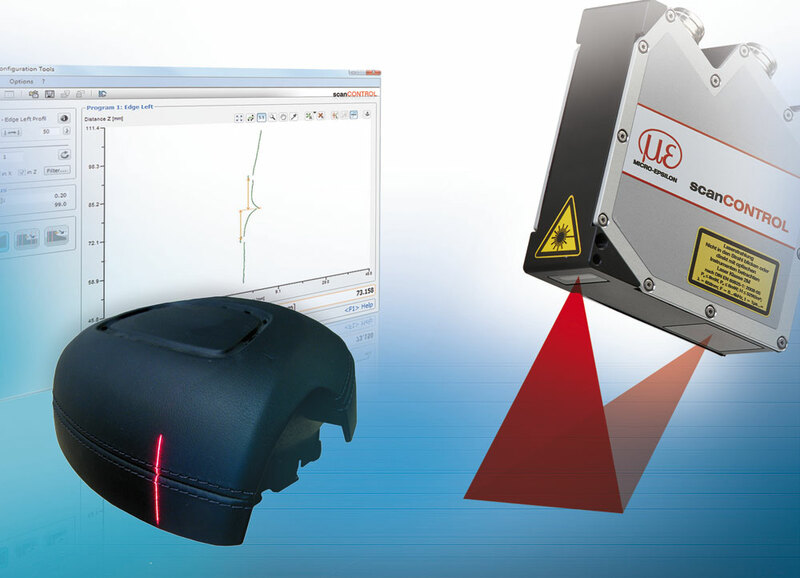 The laser scanner continuously inspects the distance between the stitching and the separating point between the single stitches and outputs the evaluation directly as O (NOK) or 1 (OK) via the Ethernet interface. Beyond that, the height difference between two single stitches is inspected in order to recognize any faulty assemblies immediately. Differences in color and brightness between the stitching and covering material do not affect measurements using scanCONTROL, as the scanner automatically compensates for changing surfaces, which in most cases, creates a huge challenge for conventional image processing systems. The scanner’s high profile frequency enables the detection of an airbag cover within 3 seconds.